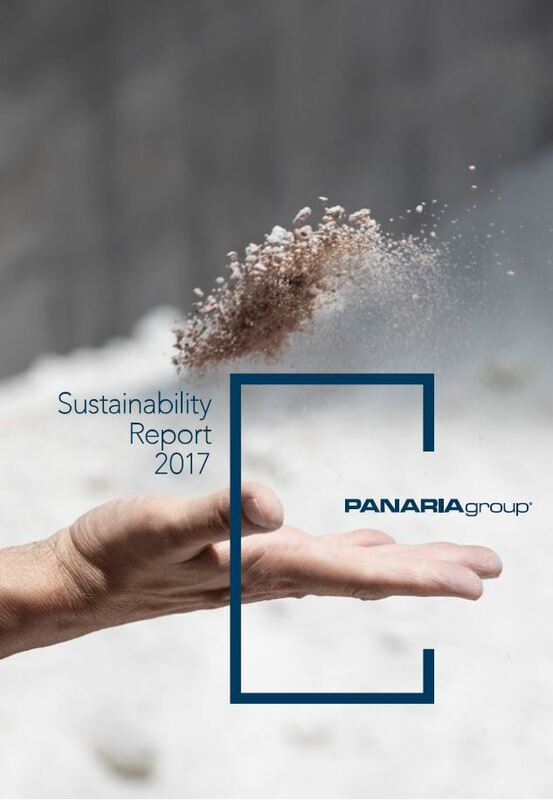 Sustainability - Panariagroup Industrie Ceramiche S.p.A.
Panariagroup has published its 2018 Non-Financial Statement in compliance with current legislation. The official presentation will follow shortly. Panariagroup’s mission statement is about growing and creating well-being in harmony with the people and the environment, with openness, passion and love for our work. In order to achieve such targets, the Group aims to generate sustainable value for its shareholders, employees and business partners respecting society and the environment. The Group has a strong focus on research and innovation, and is resolute to satisfy the highest expectations in the fields of general well-being and of aesthetics, both for professional and private customers, in architecture or in the construction industry. Our stakeholders have played a pivotal role in Panariagroup’s sustainable growth. In its Sustainability Report, Panariagroup identified the individuals or groups who entertain a relationship with the company and with its activities, as through their involvement and our awareness of their needs, the Group is able to pursue its economic, social and environmental targets in a shared way that, because of this, becomes even more effective. This statement has been prepared in compliance with the new reporting standards “Global Reporting Initiative Sustainability Reporting Standards” issued in 2016 by the Global Reporting Initiative (GRI), according to the “in accordance – core” option. The Sustainability Report contains information on the business activity, its performance, its results and the impact of the activity. 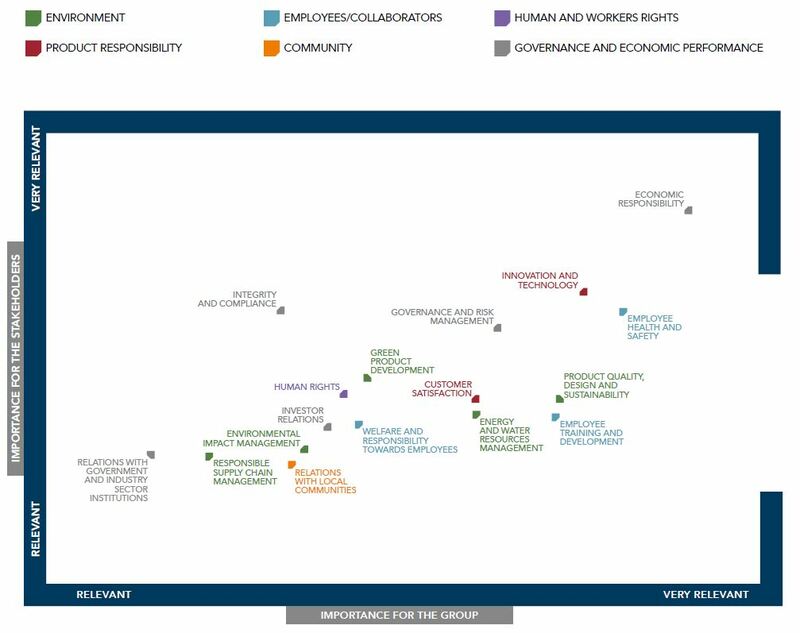 In order to report the sustainability issues, the Group has prepared a materiality analysis that highlights how Economic Accountability, Employee Health and Safety, Innovation and Technology, Governance and Risk Management have been identified as key topics both for the Group and for its stakeholders. From the matrix we also understand the importance Panariagroup gives to Quality, Design and Sustainability of the products, a key issue for the industry the Group operates in. Also relevant are the Management of Energy and Water Resources, particularly important in the Group’s production process, and Customer Satisfaction, which also is paramount: Panariagroup already has business units dedicated to thoroughly serve the Group’s Customer base. January 1st to December 31st) by the Group in the field of sustainability. Panariagroup aims to improve its impact on society from an economic, social and environmental point of view. This is why it has set a series of strategic targets to be achieved in the next few years. Panariagroup joins the UN Global Compact. This is the largest corporate sustainability initiative worldwide and was set up by the United Nations. There are now 10,000 companies participating in 164 countries. The UN Global Compact encourages its private sector participants to adopt policies in four fundamental areas: respect for human rights, fair labour standards, environmental sustainability and the fight against corruption. 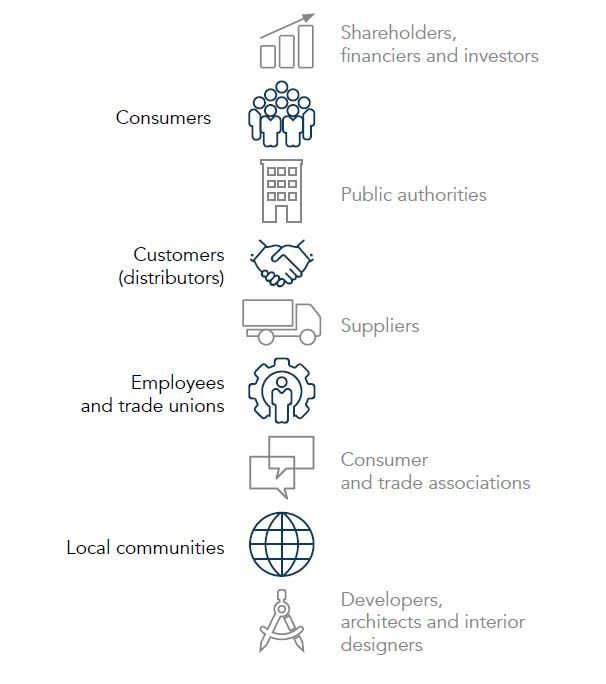 These translate into ten principles that member companies must adopt and respect in their approach to business, so that the ethics and values become an integral part of their strategies and operations, in full compliance with the principles of Corporate Social Responsibility. Panariagroup, by adhering to the UN Global Compact, is committed to these fundamental rules and is open to comparison on decisive issues at the international level, while confirming their central role in the company’s development policies.